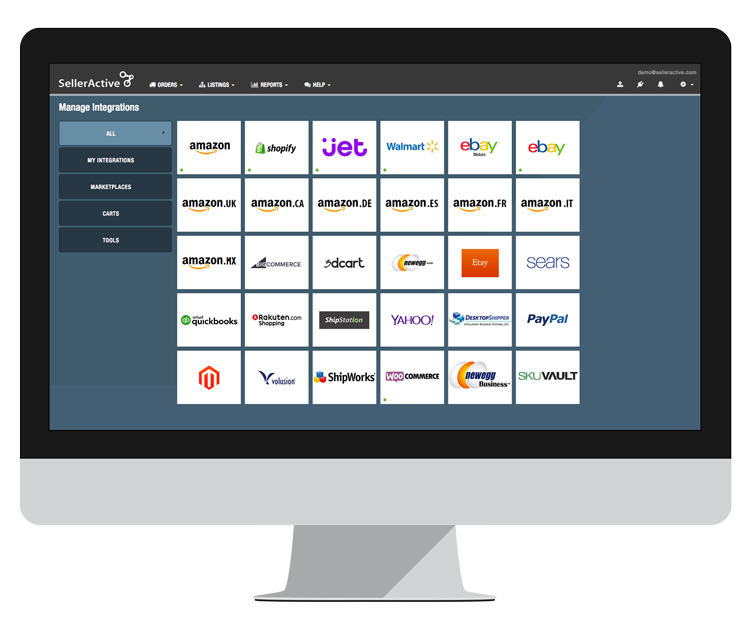 Harness the combined power of SkuVault’s inventory management and SellerActive’s multichannel listing management to streamline your multichannel e-commerce business. 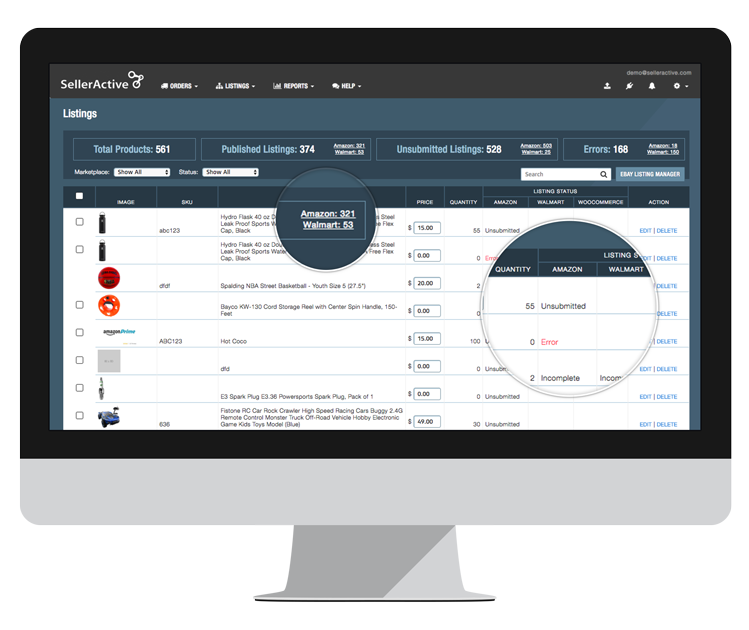 SellerActive and SkuVault communicate automatically to synchronize your channel listings and update your physical inventory counts in real time. Whether you scan items into and out of your warehouse using topShelf's smartphone app or a handheld scanner, SellerActive pulls your data from SkuVault in real time so inventory levels are always accurate. When you make a sale, your available quantities are automatically updated across all marketplaces, eliminating the hassle of overselling or stockouts. 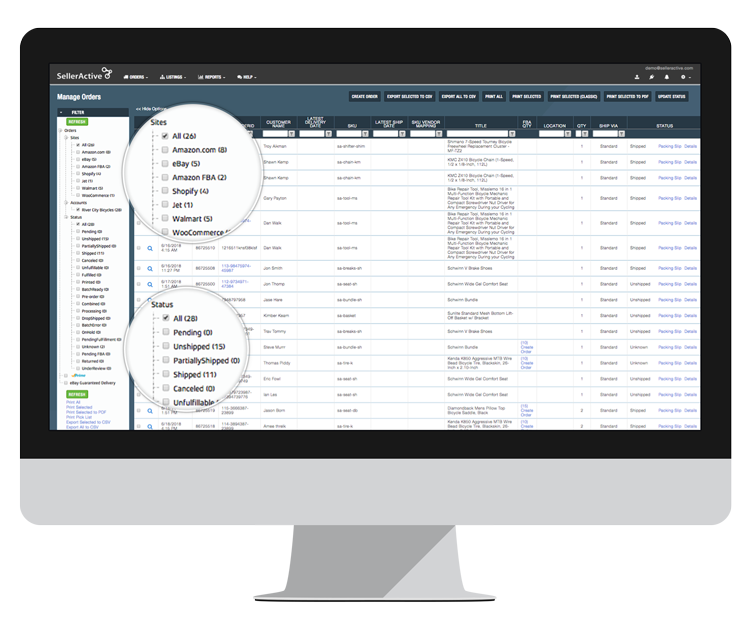 SellerActive consolidates all multichannel order data and communicates it to both SkuVault and your fulfillment software (if integrated).